Since the advent of digital images, pixels have served as the base elements of image processing tasks. However, pixels are only the result of the discrete acquisition and representation of images, and they do not represent any semantic entities. To address this issue, superpixel segmentation has been proposed, the aim of which being to over-segment the image by grouping pixels that share similar properties. This provides a grouping of pixels into perceptually meaningful entities that are more consistent with the human visual system, and that can serve as primitives for further computation. Superpixels have become a key building block for many algorithms in image processing and computer vision such as image segmentation, image parsing, semantic labeling and object classification, and detection and tracking. Indeed, there are many benefits of working at the superpixel level instead of the classical pixel level. First, superpixels carry more information than pixels since they better adhere to the natural image boundaries than square patches. Second, superpixels have a perceptual meaning since pixels belonging to a given superpixel share similar visual properties. Third, superpixels provide a convenient and compact representation of images that can be very useful for computationally demanding problems, as a superpixel graph has much few nodes than the classical grid graph. 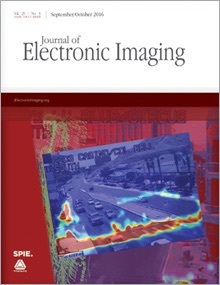 The aim of the proposed special issue is to present some of the cutting-edge works currently being done on and with superpixels and to reveal the challenges that still lie ahead. Graph algorithms on superpixel graphs. Manuscripts should conform to the standard guidelines of JEI. Prospective authors should submit an electronic copy of their manuscript through the JEI online submission system at https://jei.msubmit.net. Manuscripts should be marked with the proper special issue option in the Article Type section and the special issue should be mentioned in the cover letter. Each manuscript will be reviewed by at least two independent reviewers.